Spain put the brakes on a sale of hundreds of missiles to Saudi Arabia amid concerns about their use against civilians in the war in Yemen. The defence ministry has launched a process to cancel the contract between Spain and Saudi Arabia signed in 2015 for 400 laser-guided munitions and will pay back the $10m already paid for the weapons, broadcaster Cadena Ser reported on Tuesday. “We confirm the news,” an unnamed spokeswoman at the defence ministry said, declining to give any additional details. 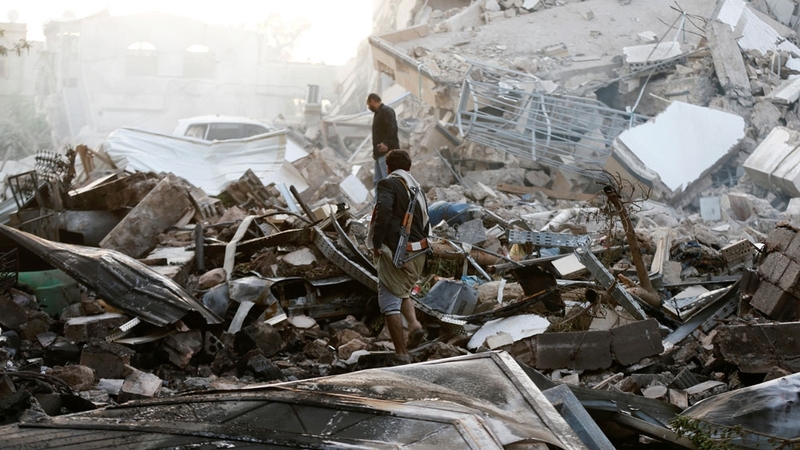 The ministry said last month it had never sold arms that could be used against a civilian population and condemned the killing of non-combatants in Yemen. The Saudi embassy in Madrid did not immediately respond to emailed questions and follow-up calls by The Associated Press. Human rights groups have denounced Western arms sales to Saudi Arabia and its allies in a war the United Nations says has killed more than 10,000 people and left 8.4 million on the brink of famine. Spain is the fourth-largest provider of military equipment and weapons to the Gulf state, according to Amnesty International. The Stockholm International Peace Research Institute, an independent global security database, said the United States, Britain and France are Saudi Arabia’s main arms suppliers. Last year, Saudi Arabia reportedly agreed to buy seven billion dollars worth of precision-guided munitions from the United States. Andrew Smith, a spokesman from the UK-based Campaign Against Arms Trade, said Spain’s decision has put a lot of pressure on the Saudi-led coalition. “It sets an incredibly important precedent across Europe and to the governments who are continuing to arm and support this brutal bombardment, such as the US and the UK who have sold by far the most weapons,” Smith told Al Jazeera. Smith said he hopes the Spanish government stays “true to its word”. “We also hope that it does apply pressure internationally and that it does call for other governments to do the same,” he added. Saudi Arabia and the United Arab Emirates have led a military coalition fighting against Houthi rebels in Yemen since March 2015. Amnesty’s Rasha Abdul Rahim told Al Jazeera Spain’s move was only a first step and it should cancel all arms sales to Saudi Arabia, not just the 400 missiles. UN human rights investigators say all sides may have committed war crimes in the conflict.